Every day or two there’s news about yet another person in sports, business, or government that’s breached personal or public trust. Or so it seems. It stands to follow that the public is losing faith in companies doing what is right. Some turn their ethics on and off like the lights in their offices or buildings. As an individual, you have integrity or you don’t. You can’t just pick and choose according to the circumstances. It’s the same in business. Ethical conduct has to apply to everyone in your business and extend to everyone you do business with. In our case, the behaviours relate to the buying or selling of a business. You're either ethical 100% of the time or you're not ethical. We hold our business brokers to high standards of excellence, integrity and quality. 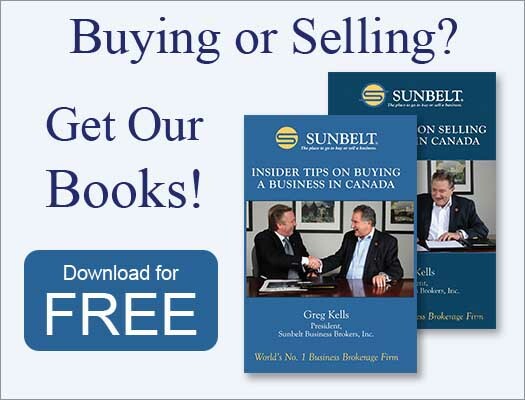 In Canada, Sunbelt brokers are members of and adhere to the codes of ethics for the International Business Brokers, the National Equipment & Business Brokers’ Institute , the Canadian Real Estate, the Institute of Business Appraisers and the most stringent of all--the code of ethics for Sunbelt Business Brokers. Each of these is designed to protect clients and ensure honesty, professionalism, competence and a sincere desire to achieve the goals of clients. Over the years, I have only had to fire three brokers out of hundreds in Canada, and in each case it was because they were not living up to Sunbelt's code of ethics. It is not good enough for a company to teach and preach ethical behaviour, hire ethical staff and establish control systems to ensure ethical behaviour, yet tolerate unethical behaviour when it occurs. There must be decisive action to root out the source and ensure that the behaviour isn't repeated. In Canada, business brokers represent the interests of both seller and buyer. This is known as dual agency. The broker commits to confidentiality, loyalty and full disclosure to both parties simultaneously. While it’s our fiduciary responsibility, it’s also a matter of integrity. As I tell my buyers and sellers, whatever I know, you know; full disclosure is the only way I work. It’s the same with all our brokers. It’s our job to be impartial and fair, to get the right questions asked and answered. At some point in the transaction, the seller and prospective buyer must each make a leap of faith and trust the other. But the trust will disappear along with the deal if the promises and commitments aren’t kept. Confidentiality is a critical factor in selling a business. Broadcasting that your business is for sale introduces risk, largely in the form of uncertainties with employees, customers and suppliers, and can open the door to competitors, leaving you with less money in your pocket, while you sell and at the sale. Callers inquiring about the business at any Sunbelt office in Canada will be given preliminary details with only high-level financial information; the identity of the business remains confidential. This same overview is used for general advertising and provided to prospects in our extended network. A more detailed business prospectus is only made available to qualified prospective buyers after they have signed a strict and detailed, legally enforceable, Non-disclosure Agreement (NDA), and confirmed their financial ability, skills, experience and goals. We’ve found that many other brokerage firms don’t have the same standards. do not expose a business to someone who doesn’t have the resources to buy it and to finance the working capital. That’s why we insist you to come to our offices for an intake meeting when buying a business. Our brokers will complete documentation before we discuss any business with them. Some aren’t happy about it. Some have even called our southern Ontario offices one by one and attempted to play one off against the other in various ways. They don't get what they want from one, so they call the next. It’s not productive for them or for us. “Our strength is that we have all been trained to the same standards, know one another and someone has an office close to the potential buyer,” says Jay Brennan, then Regional Vice-President, Sunbelt Business Brokers Morcap in Whitby, Ontario. Yes, there are unscrupulous buyers and sellers. They’re in the minority, however, and as you get to know the industry, you learn the indicators. We’re pretty good at spotting and staying clear of them. Most buyers and sellers want to do the right thing. We help them negotiate a fair deal, with price, terms and conditions that work for both sides. The buyer needs proprietary financial and operating information, including strengths, weaknesses, opportunities and threats facing the business, to make informed decisions about proceeding with an offer. When sellers misrepresent facts, or do not disclose all issues when or if they arise, buyers become leery of continuing the negotiations. Both parties need to be comfortable with the other's ability to deliver what is promised. In most cases, the buyer will need the seller to take back a note for a portion of the purchase price. The seller needs to have confidence in the buyer to lend them money. It’s also common for deals to include a training and transition period where the previous owners work with the purchaser for a stipulated length of time, so building a relationship of trust and respect throughout the transaction has continued importance. 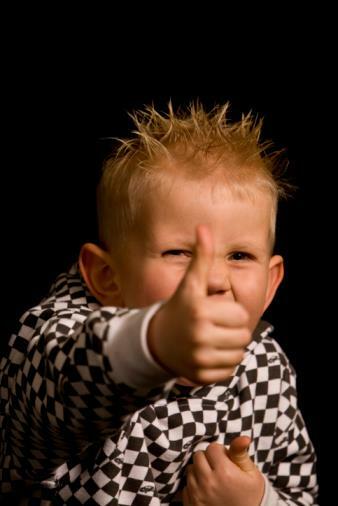 How many of you remember the "I liked it so much I bought the company" commercial from the late 70s and the 80s? The company was Remington and the man Victor Kiam. We could say the same thing about our own business. More than half of our office owners are previous Sunbelt Canada clients so impressed by the quality of their experience that they joined the company. That’s a pretty strong testimonial. Some of our clients are repeat customers. Most have referred others to us. We put great value in their trust and will continue to do our utmost to uphold the faith they’ve placed in us. If your plans include buying or selling a business, we’d be honoured if you’d keep Sunbelt Business Brokers in mind.